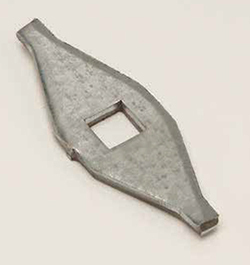 Align diamond planks on I-Beam or other anchoring cross-member. Replace plank. Align diamond washer over the drilled hole. 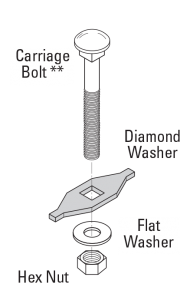 Run the carriage bolt through the diamond washer and I-Beam. Tighten the washer and nut until secure. 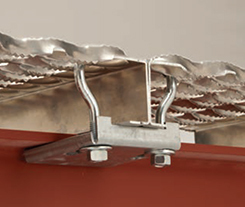 A common method of fastening safety grating is welding. 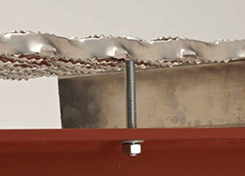 It is recommended that all Daimond Safety Grating products be fillet welded per AWS D1.3. For more information, consult Technical Services. Align two (2) planks side-by-side on I-Beam or other anchoring cross-member. 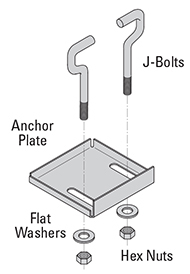 Place J-bolts in plank openings opposite each other. Make sure you choose the openings nearest to the inner edge of the plank . Tighten nuts until planks are secured. system for loose or missing parts. Repeat steps 1 thru 4. 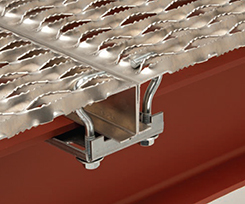 A common method of fastening safety grating is welding. 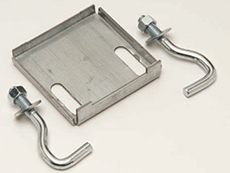 It is recommended that all Safety Grating products be fillet welded per AWS D1.3. For more information, consult Technical Services. 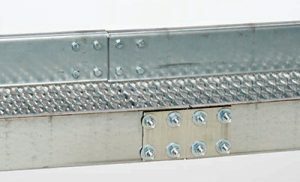 Walkway splice plates provide continuity when multiple lengths of plank walkways are desired. 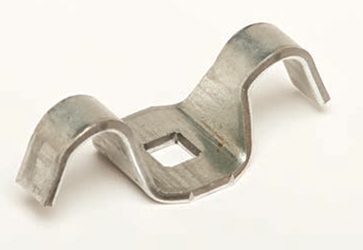 Connections are reinforced with the addition of splice plates attached to side channels. 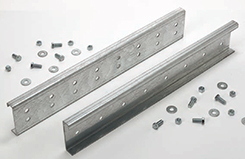 Splice plates are formed from 12 gauge mill-galvanized steel, pre-punched and supplied with hardware shown above. Kit joins continuous sections together in a run only over supports. Note: Contact factory for information on pre-punched holes in walkway grating. 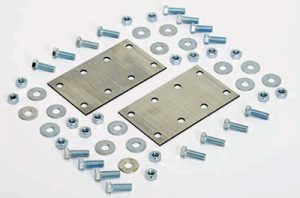 Splice plates are formed from 10 gauge mill-galvanized steel, pre-punched and supplied with hardware shown above. Contact one of our sales associates today to see how we can be of service. 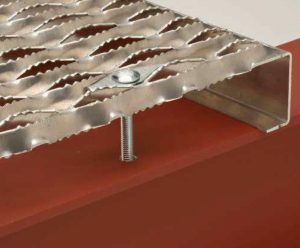 We would be happy to discuss your project to see if you need Diamond Safety Grating or Heavy Duty Diamond Safety Grating products.